This pattern is La Rochère's best-selling collection setting a joyful, classically French table. 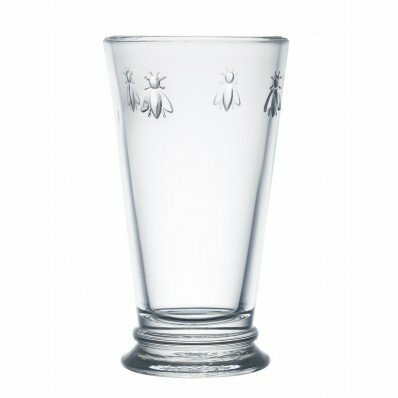 Proudly displaying the Napoleon symbol of l'abeille, the bee, this signature La Rochere glass design is also a symbol of the magical countrysides of the South of France. The collection's charming bees and pure, modern silhouette are ultra-versatile; perfect for casual entertaining and everyday use. If you have any questions about this product by La Rochére, contact us by completing and submitting the form below. If you are looking for a specif part number, please include it with your message.